This is the first time this model has been covered in such depth. 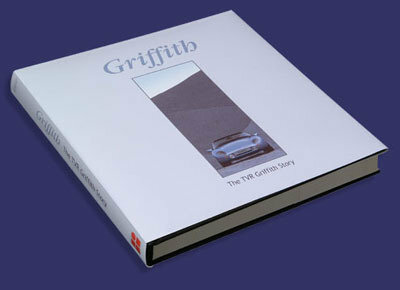 It is a fully documented account of the history and the making of the legendary TVR Griffith. This has turned out to be a fascinating and unique project - a must have for every TVR fan, a quality hardback book packed with over 300 pages covering every aspect of the Griffith - from its conception to the last production run from the famous TVR factory. Archive material and technical information is presented with a combination of authentic and light-hearted inserts from the factory floor and Griffith owners past and present many of whom are my friends.